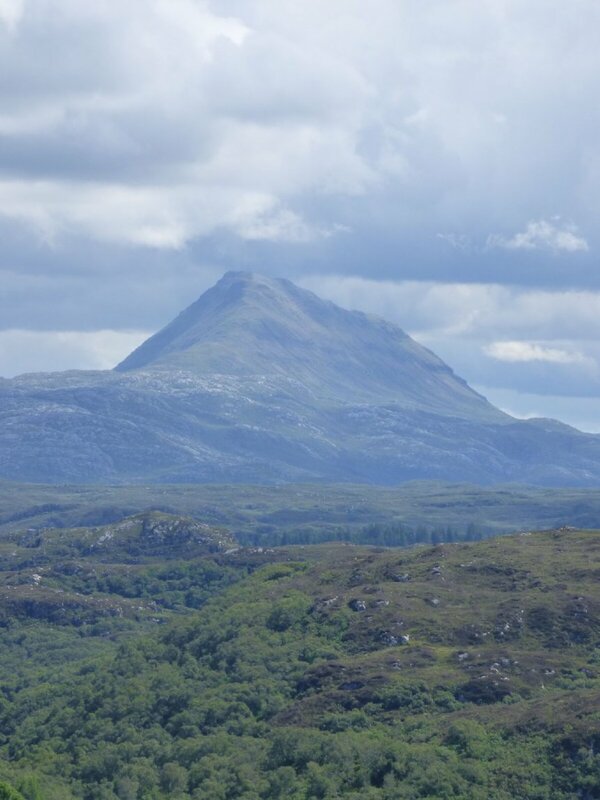 From Cape Wrath to Applecross, including Assynt, Wester Ross and Torridon! Max group size 7 clients. 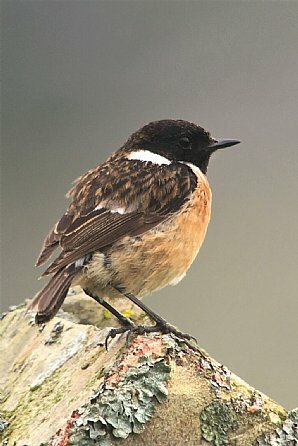 This exciting new itinerary takes in the most underexplored and least populated corner of the British Isles. Widely regarded as one of the most picturesque landscapes in Europe, the rugged Northwest Highlands feature countless sealochs, mountains, glens, islands and deserted beaches. The wildlife here reflects the rich variety of the landscape, from Golden Eagle and Ptarmigan on high mountain tops, and flower rich meadows in croftland to bustling seabird colonies on offshore islands. This holiday is timed so that the floral diversity will be at its highest, including numerous orchids and scarce plants. 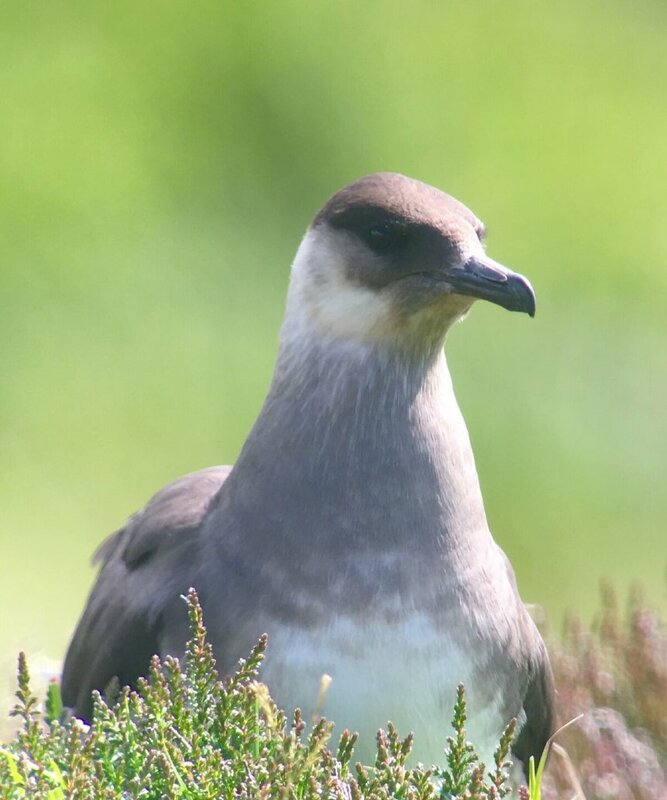 The seabird colonies will be full, whilst the days will be at their longest, allowing plenty of daylight to maximise the natural history opportunities. 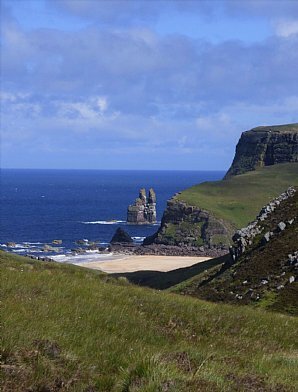 This three-centre holiday follows the coastline of the Northwest Highlands, from the very top at Cape Wrath down to the Applecross Peninsula, opposite the Isle of Skye. 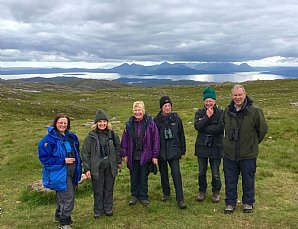 Taking in Handa Island, Assynt, Sutherland, Wester Ross and Torridon, this is a thorough exploration of the region. Depart Nethy Bridge after breakfast and head through the heart of Ross-shire and Sutherland to reach our base on the remote Kyle of Tongue. We will make several stops, breaking the journey at scenic stops alongside stunning lochs and glens, home to Hen Harrier, Golden Eagle and both Red and Black-throated Divers. Possible stops include floral rich dunes and pinewoods on the east coast, Loch Fleet and its waterbirds or quiet back-roads looking for Cuckoo, Whinchat and Hen Harrier. If it has rained heavily overnight we may stop at Shin Falls to see if the first of the Atlantic Salmon are running up the waterfalls. Overnight in Tongue. 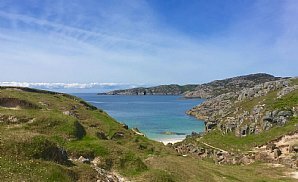 We continue west along the far north coast of Sutherland, taking stops at the Kyle of Tongue, Loch Eriboll and on to Durness, where we can stop at the beautiful Sango Sands. We will then head up to Balnakeil Bay, with rich machair and croftland where a few Twite and Corncrake reside. Though views of Corncrake are unlikely, we may hear a few giving their grating call. 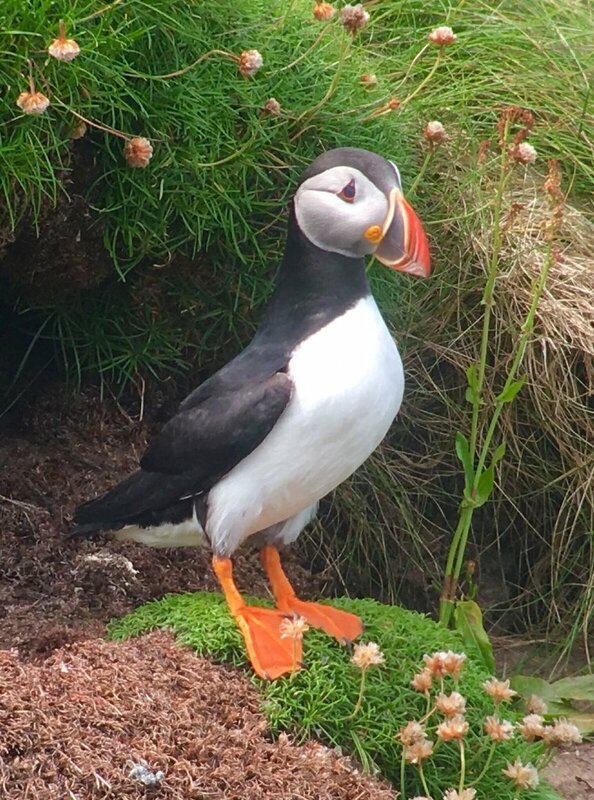 If weather allows then a walk out to Faraid Head is worthwhile, with Puffins nesting on the cliffs and cetaceans possible offshore. 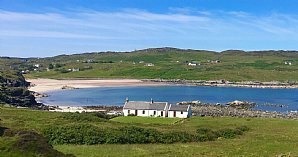 We close the day at the flower rich machair and stunning beach at Oldshoremore SSSI with its rich and varied croftland. Overnight Rhiconich for the first of four nights. Today we head to the furthest North Western tip of the British mainland at Cape Wrath. Taking a small passenger ferry and a scheduled minibus taxi, we work our way along the northern coast of the military range, a haven for wildlife. Once at the lighthouse we have around 45 minutes to seawatch, enjoy a cuppa or take photographs. 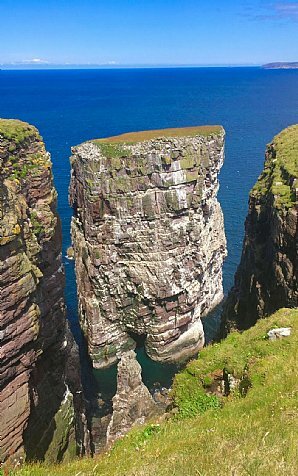 From this lofty vantage point it is well worth checking for cetaceans and seabirds. 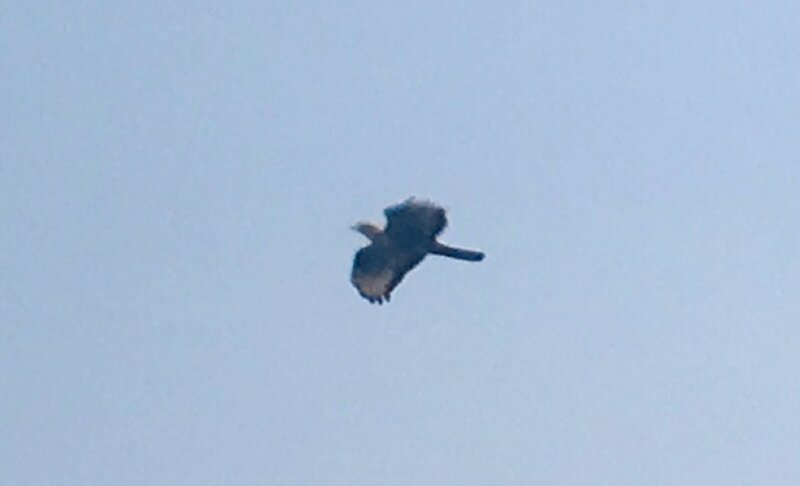 We return via the same route before heading back along to our ferry, perhaps picking up Greenshank, Golden Plover, Wheatear and Arctic Skua on the drive. In the afternoon we will head to another spot, possibly Loch Stack to look for birds, butterflies and dragonflies. 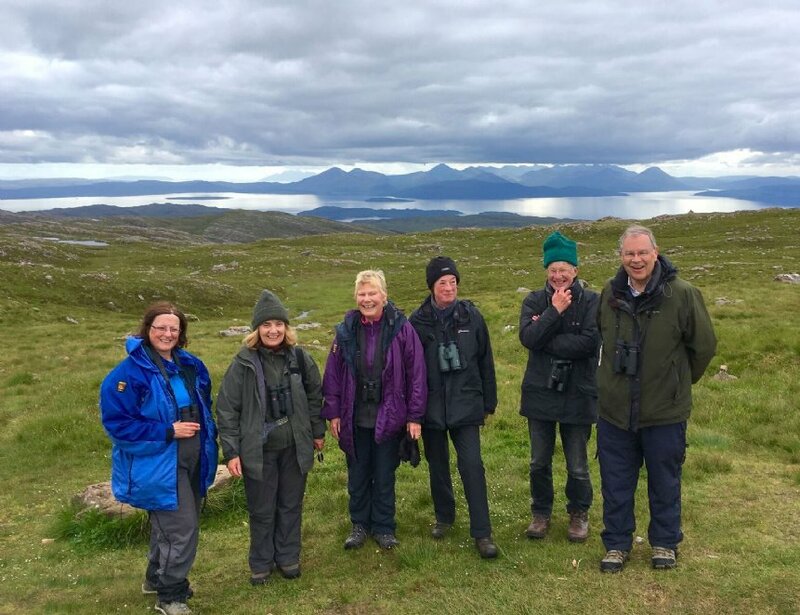 Handa Island - a true Scottish gem, with over 150,000 seabirds will be our focus of today. 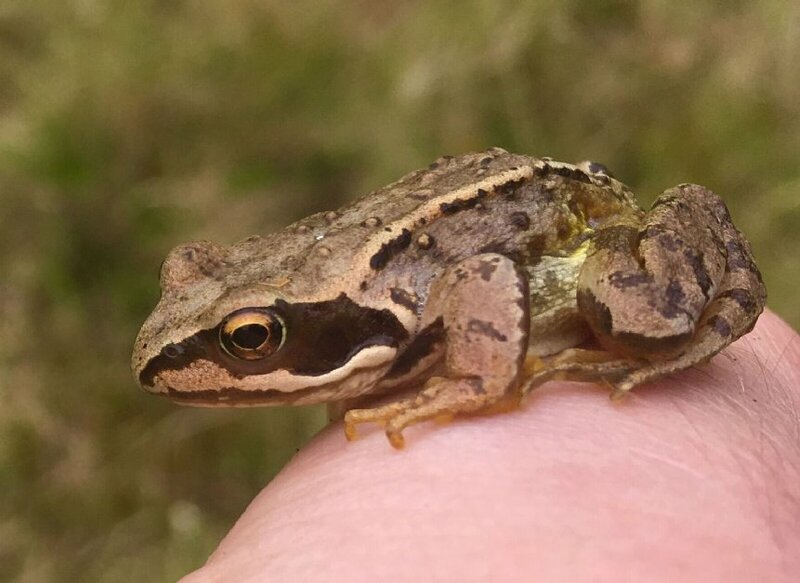 With a slow walk around the whole Scottish Wildlife Trust reserve, we have time to enjoy the flora and fauna of the maritime heath and steep cliffs. The island holds breeding Great and Arctic Skua and they should both show well, along with Arctic Tern and Red Grouse. Our walk takes us to stunning viewpointsof seabird cliffs bustling with Guillemot, Razorbill, Kittiwake and a few Puffin. The geology here is stunning, sheer 110m Torridonian Sandstone cliffs covered in birds. 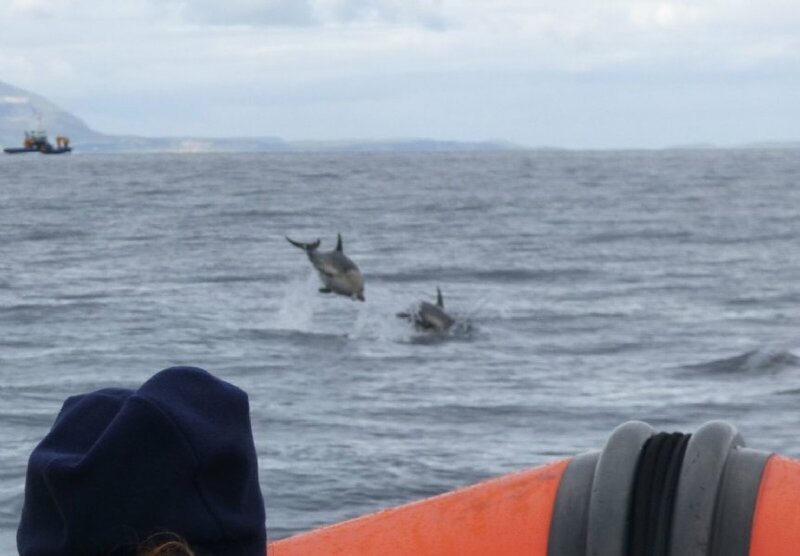 With luck we may find a few cetaceans offshore, including Harbour Porpoise and Common Dolphin. A wonderful day out. 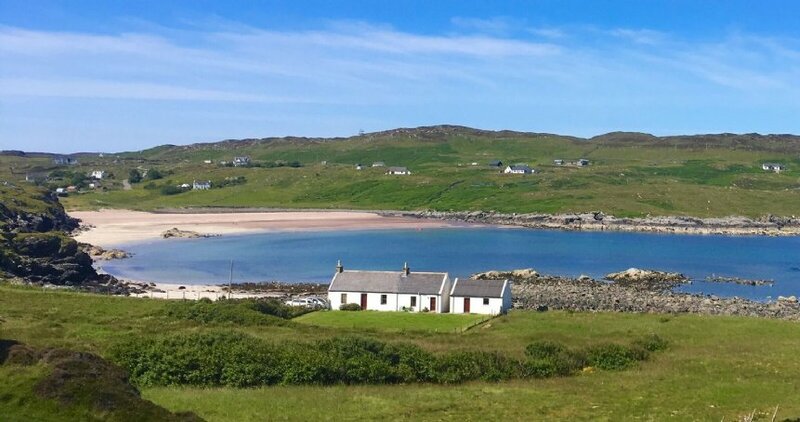 Assynt is a patchwork quilt of rich croftland, rough grazing, stunning sandy beaches and rocky crags and we take a full day to work around the narrow and winding roads. 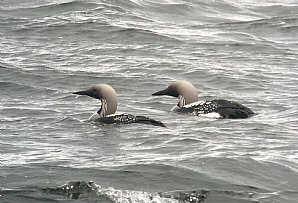 Leaving our hotel in the far North-west after breakfast, we work our way to Stoer Point, a good seawatching spot. 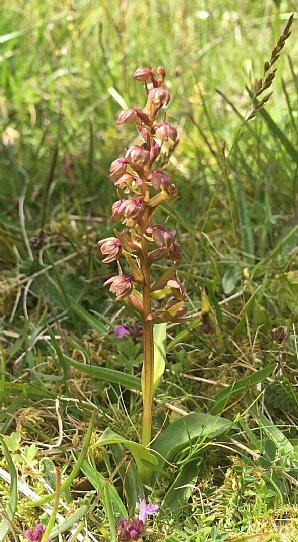 From here we head south, with flower-rich meadows in the machair being top targets. The landscape here is recognised as a Geopark for its diverse geology and sees us going through several National Scenic Areas as we tour around. 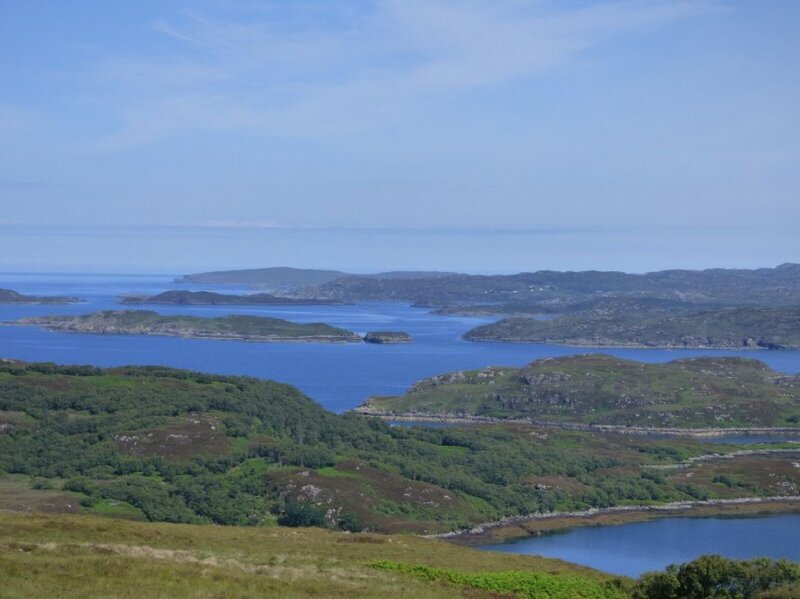 Today we take a full day to explore the varied coastline from Loch Broom down to Gairloch, a landscape full of crags, bays and islands. 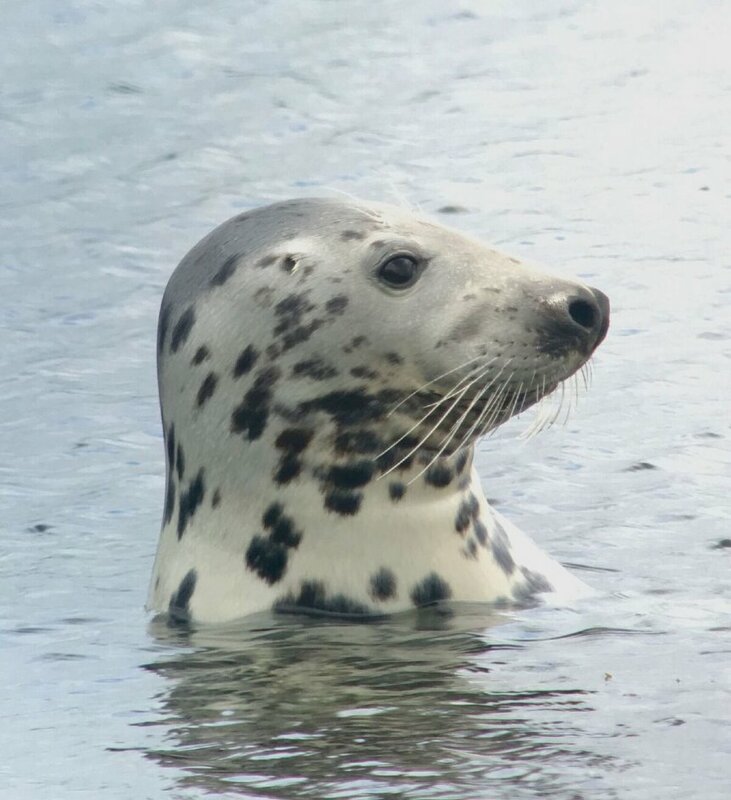 Taking in Little Loch Broom, Gruinard Bay, Mellon Udrigle, Aultbea and Poolewe, we have excellent opportunities for Otters, Eagles, Divers and Twite. The views here incorporate stunning beaches right up to mountain top, with picture-postcard views at our frequent stops for wildlife. Overnight in Gairloch for two nights. 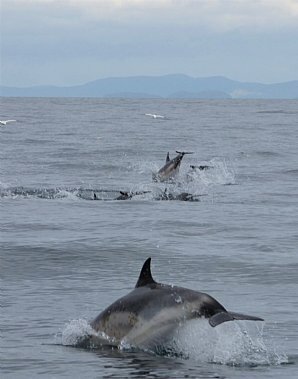 Today we head out on an exhilarating RIB ride looking for all manner of wildlife. 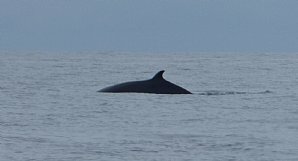 Our skipper knows the waters well, and our track record of seeing Minke Whale and Common Dolphin is good. 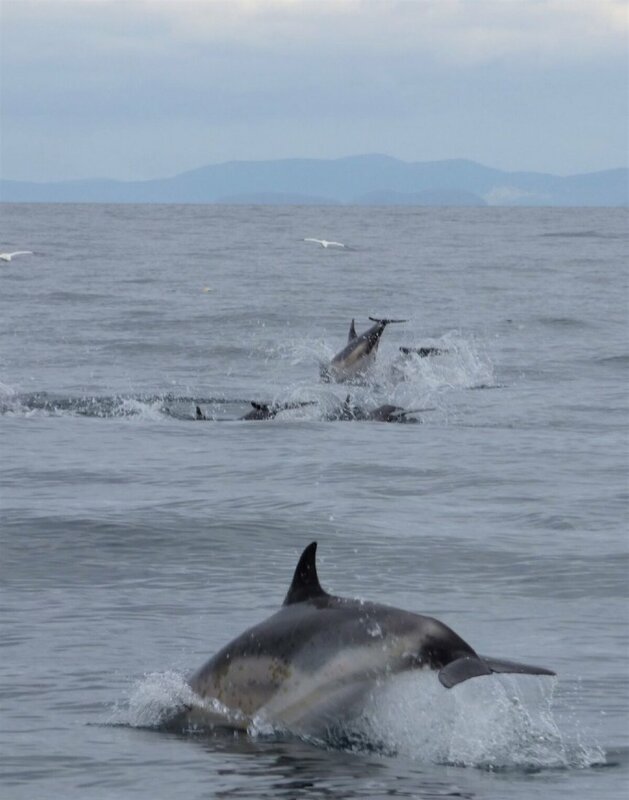 Anything is possible in the Minch in July, and previous sightings have included Basking Shark, Killer Whale and Risso's Dolphins. 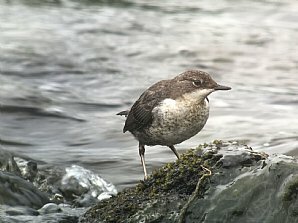 Seabirds should be well represented, and may well include petrels, shearwaters, skuas and all the regular auk species. The boat is fast and manoeuverable, giving us lots of options as we cover a large distance. 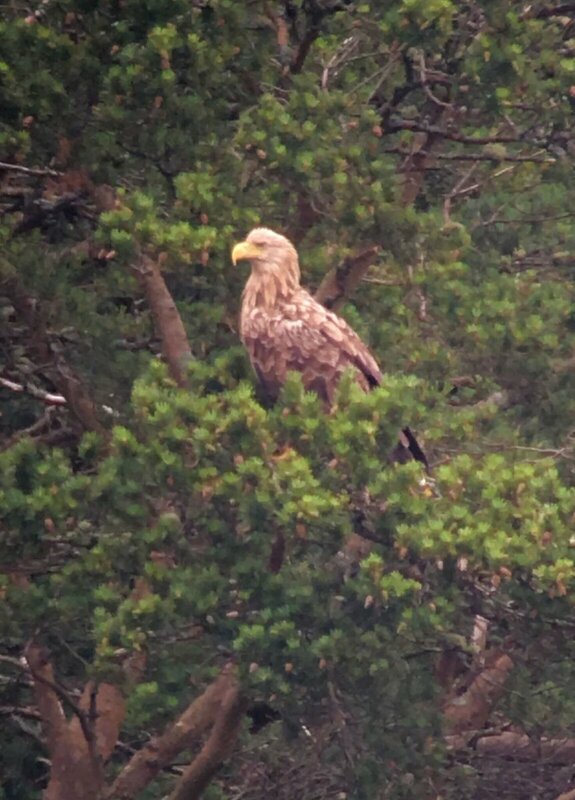 Other wildlife regularly includes White-tailed Eagle, seals and Otters. Back on shore we will continue our exploration of the Gairloch area, targetting any key species we may have missed. We leave our hotel in Gairloch after breakfast, and work our way down to Torridon. Taking the coastal route around to Applecross village, we hope to see more White-tailed Eagle on this remote single-track road. 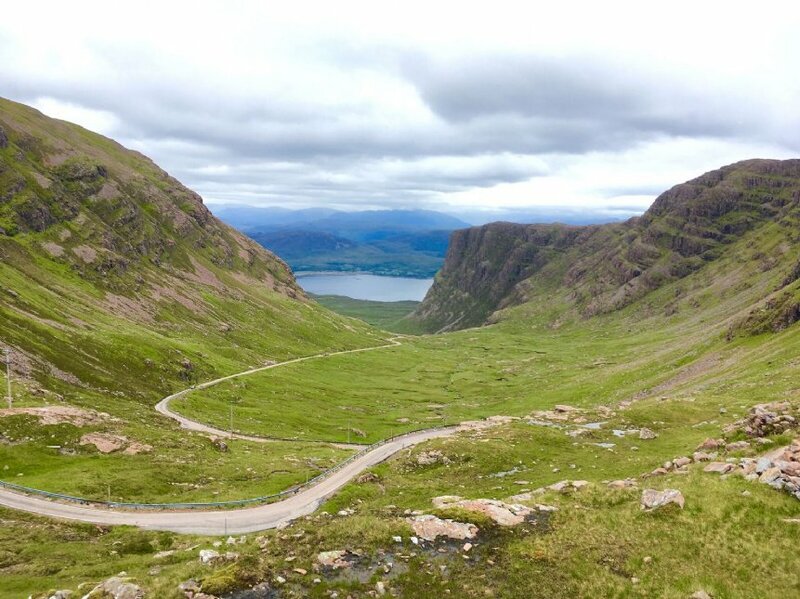 We will check the bay for summering Great Northern Diver before heading up the winding track to the Bealach na Ba, the highest road climb in the UK, peaking at 626m. 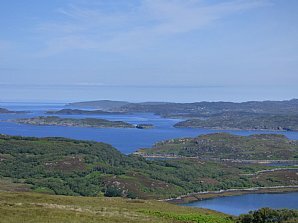 If the weather is kind, the view will be stunning, incorporating all of Skye, the Small Isles and even the Outer Hebrides. 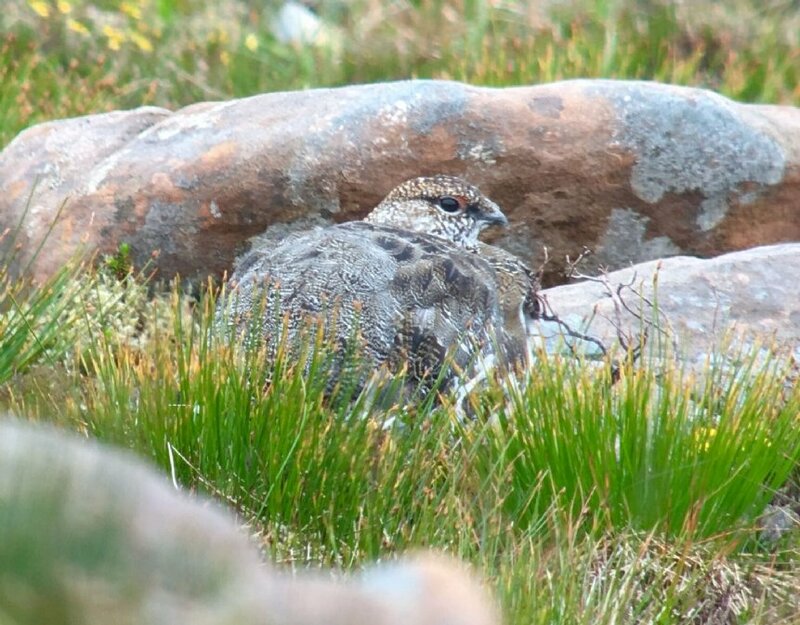 Once at the top we are free to explore, and find ourself in an Arctic-Alpine environment, home to Alpine plants and mountain top birds, including Dunlin, Golden Plover and Ptarmigan. 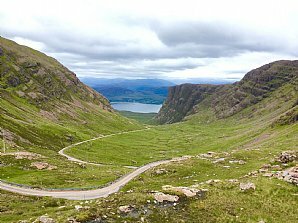 We descend on the far side, and head through Torridon, surrounded on both sides by craggy peaks in this post-glacial landscape. We arrive back in Nethy Bridge around 5:30pm. The ‘Outer Limits’ in Summer, Eagles, Divers and Dotterel. Expect a wide variation in weather conditions. Blazing sunshine, rain and strong winds are all possible, and you will probably experience a bit of everything. 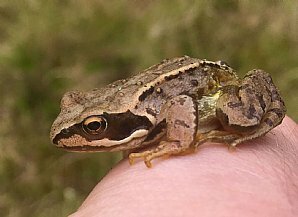 Biting insects are possible, please bring a good general repellent just in case. Please bring waterproof walking boots or shoes, fully waterproof clothing and a small rucksack. Walking will be mostly light, though the walk on Handa Island is 4 miles on uneven and at times wet terrain. • Seven nights comfortable en-suite hotel accommodation. 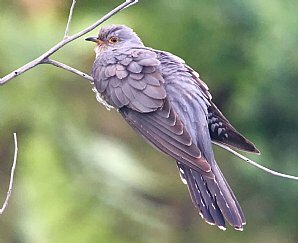 We choose hotels from our personally inspected shortlist, where birders are welcome and the hospitality is special. Guests are never expected to share. Full details with your joining pack. • Full Scottish breakfast and dinner from Saturday evening til Saturday morning, packed lunch daily, including on the first and last Saturday. • All transfers by comfortable minibus. Drop off on the departure morning to transport links in Aviemore is included. • Drivers can leave vehicles safely parked at The Mountview Hotel. • All ferry costs and boat excursions. • Transfers from transport links in Aviemore on arrival.